Parts-veyors - Roll-A-Way Conveyors Inc. 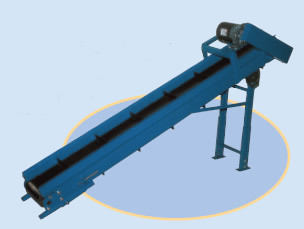 This inclined conveyor moves product from one level to the next. The cleated belt keeps the material from tumbling under extreme incline positions.